Here at the New Jersey Eye Center, we offer a wide range of ocular services designed to keep your vision in tip-top shape. We’ve been in business for over 35 years and have performed over 50,000 cataract surgeries. Nevertheless, post-cataract care can be a handful to deal with, especially if it progresses into what is known as secondary cataracts. Our eyes are very delicate organs, and while taking care of them can drastically reduce the risk of visual impairments, there is no real way of avoiding a cataract. So, before you start to worry, we want you to know that we have a talented staff, cutting-edge technology, and a genuine interest in our patients’ health. What is a secondary cataract? A secondary cataract occurs when there is a rapid increase in the number of epithelial cells in the posterior capsule. This sharp rise in cells also affects the new capsule from the first cataract surgery. The result of the cellular imbalance causes the opacification (the clouding or becoming opaque) of both capsules. This in turn severely limits the amount of light which enters the retina. If not treated it can lead to permanent vision loss in one or both eyes. For this reason, a secondary cataract must be diagnosed and treated as soon as it is suspected. The diagnosis for secondary cataracts is slightly complicated. 20 percent of all the patients who have undergone a cataract surgery will at some point, whether it be days, weeks or months experience the initial symptoms of vision loss. Seeing white clouds around your peripherals. Increased pressure in the eyes. Swelling of the retina and cornea. 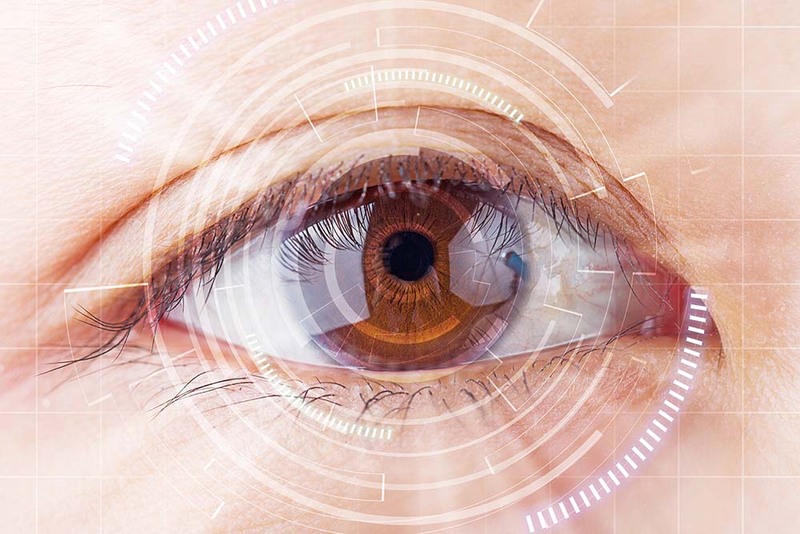 At the New Jersey Eye Center in Bergenfield, NJ, our ophthalmologists will be able to detect further variants of these symptoms and assign a proper diagnosis. However, if you begin to see eye “floaters” you should contact us at once as this may be a sign of retinal detachment. Once again, please note that leaving a secondary cataract untreated is not recommended, as the overall condition of the posterior lens will gradually deteriorate. It the lens deteriorates too much, irreversible damage may be the result. As mentioned earlier, reports show that around 20 percent of all patients, post-cataract surgery, are at risk for secondary cataract disease. While this may be a common statistic there are other factors that can increase a person’s risk for developing secondary cataracts. People who are exposed to light for prolonged periods of time. To understand the treatment options for secondary cataracts, we must first look at what happens during a cataract surgery. It is also important to mention here that surgery is currently the leading way to cure cataracts. However, we at the New Jersey Eye Center will not generally recommend surgery unless it is 100 percent necessary to clear up the cloudiness in the lens. We put our patients as our top priority and only care for their safety and well-being. The surgery for cataracts involves the replacement of the crystalline lens of the eye. This lens is surrounded by a membrane known as the lens capsule. During surgery, the lens capsule is disassembled and removed for the surgeon to access the cataract lens. Having accessed the cloudy lens, it is then removed from the eye and replaced with a clear intraocular lens. These lenses are synthetic medical devices used to replace the eye’s natural lens to better accommodate the entry of light into the retina. However, some people (the 20 percent) report cloudy vision after the surgery. The official term used for this regression of vision is posterior capsular opacification. The solution for PCO is to undergo a procedure known as a YAG capsulotomy. In this procedure, the surgeon uses a laser to clear out a window in the posterior lens capsule. Think of it as sunshine beaming through the clouds on a foggy day. The YAG capsulotomy takes a short amount of time ranging anywhere between 10-15 minutes. Will the cataracts be gone forever? To answer this question, no. It is impossible for cataracts to grow back once removed. However, it is possible, as we’ve just learned, for the posterior lens to become cloudy post-surgery. Regarding secondary cataract surgery, once the YAG capsulotomy has been undergone, the ‘cloudiness’ in the lens is permanently corrected. This is due to the special nature of the laser used in the procedure. We here at the New Jersey Eye Center recommend that you get lots of rest and avoid any strenuous activities during the recovery process. In addition, bright lights should be avoided as much as possible to speed up the recovery process. Usually, cataract surgeries have a short recovery time, so long as you’re not affected by any other eye diseases. Sunglasses are recommended for the recovery process, as they are for many eye conditions. Sunglasses will reduce the amount of strain on your eye, aiding recovery. It is essential that you maintain your annual eye appointments to detect any underlying issues. You’ll also be able to get a comprehensive overview of your eyesight and whether you’ll need any eyecare accessories such as glasses or contacts. Here at the New Jersey Eye Center in Bergenfield, NJ, we want to make sure that you see the world through the perfect set of lenses. If you suspect that yourself or a loved one is suffering from secondary cataracts, please make an appointment or walk in to see us.